This wireless adapter worls perfectly with Linux, because it's using the PRISM2 chipset. I use the hostap driver because of it's good support of host monitor mode. Before these drivers I tried the linux-wlan package, but it caused my notebook to crash... I still don't know why. I tried to find this wlan adapter on UNEX website but it looks like they stopped the production of this specified card. 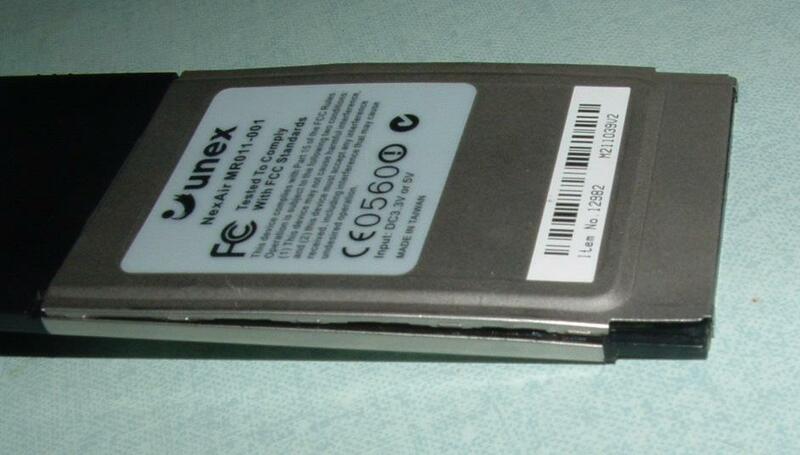 It seems they started to build the the WF502 wireless adapter as the only pure 802.11b PCMCIA NIC. First of all, you have to open the NIC. Take a little screwdriver, and use it on the side of the NIC, try to divide the two metal covers. I advise you to proceed slowly along all the edge, dividing the two covers progressively (click on image to view a bigger one in a new window). The onboard antenna is located under the black plastic cover. To open it I just used brute force:). When you have your NIC naked, you will see two "L" antennas, one is the main, and the other is the auxiliary (you can't be wrong, it's written on the circuit board). 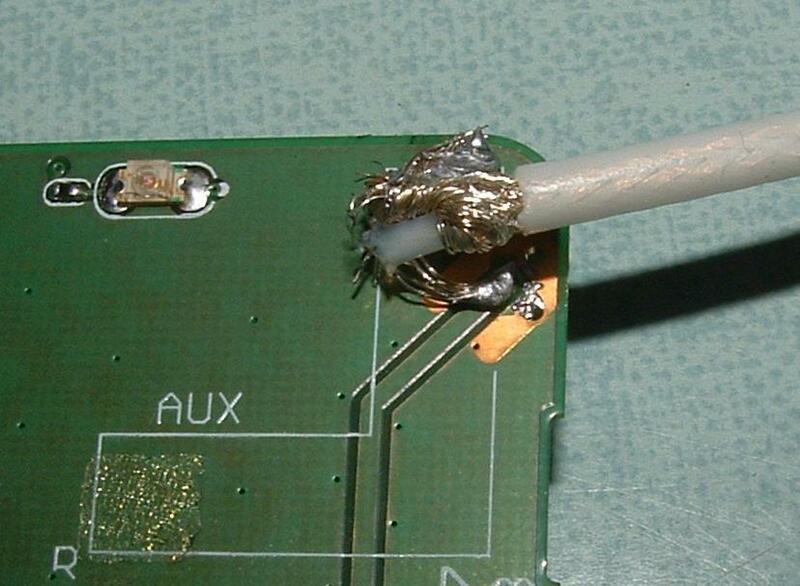 Desolder the AUX "L" antenna and solder the core of your cable in the center of the "gold" part of the board. 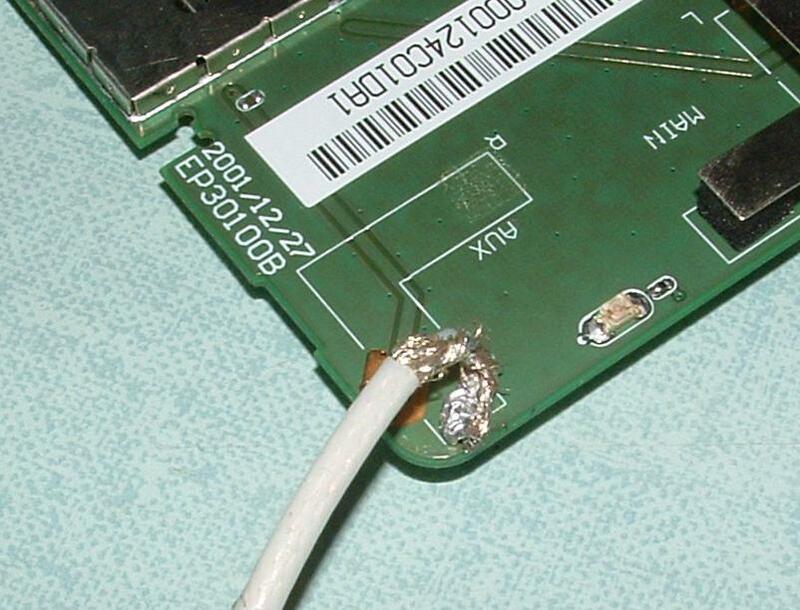 Be very careful to *NOT* short circuit your cable with the rest of the board. Solder the external part of your cable (the mass) in the corner of the "L" shape on the board, where you will find a little hole (the internal AUX antenna was soldered here). 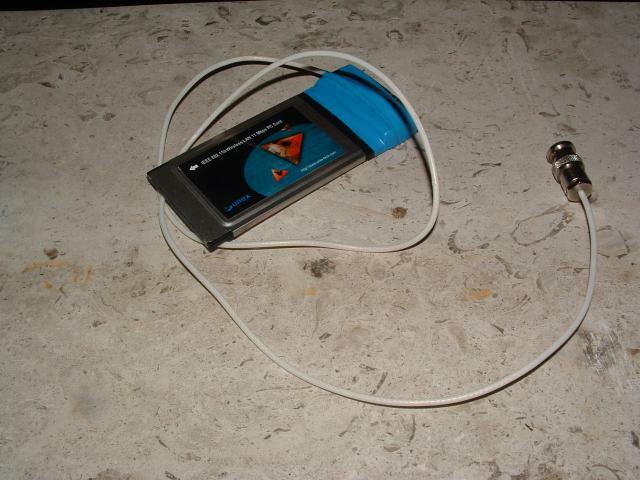 I used the solder to melt a little hole in the black plastic cover, trough that hole I passed the cable. Here you will see the work finished with a N connector soldered to the cable.